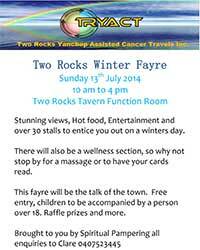 O n Sunday 13th July 2014, TRYACT is holding a winter fair at the Two Rocks Tavern Function Room. 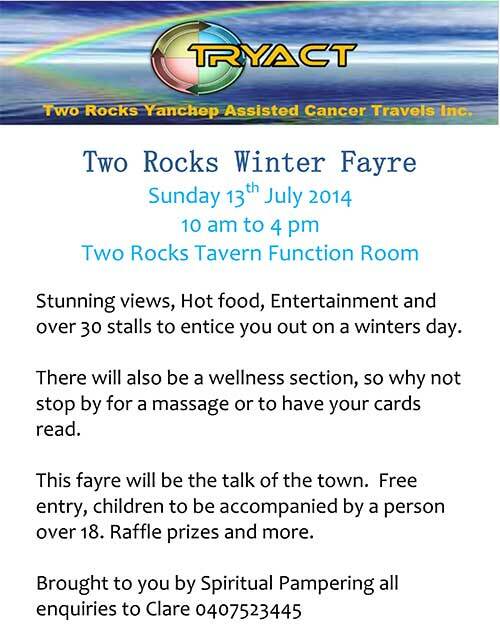 The event entry is free, and there will be entertainment, raffle prizes, hot food, and over 30 stalls. The event is brought to you by Spiritual Pampering, we hope to see you there! For enquiries, contact Clare on 0407 523 445.